Üsküdar Çevresi: Quotation: Princeton University A World History of The World, "India and Pakistan: Independence and Partition"
As India’s independence became closer and surer, the issue was raised as to whether it could, in fact, function as a single nation. The then-colony was divided along religious lines, with a Hindu majority residing primarily in its southern and central regions and a Muslim minority concentrated in the north-west and north-east corners. While the possibility of partition had been discussed as early as 1933 (5), and was heavily advocated by the All-India Muslim League, it did not receive the full attention it deserved until near the end of WWII. 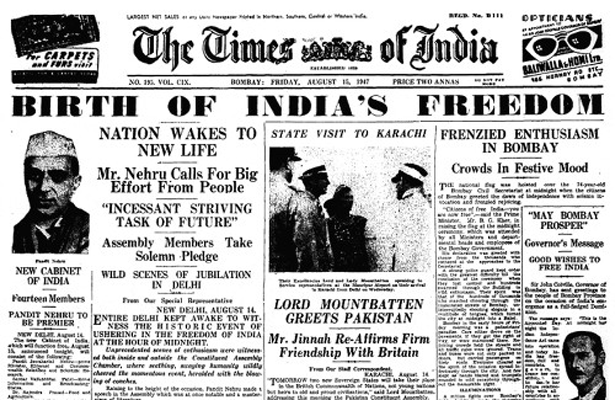 As Indian independence became increasingly assured, the question of partition came to the forefront. It also became evident that the major political forces in India at the time differed strongly in their opinion regarding the idea of a partitioned India, and a consensus on the governance of post-British India seemed unlikely. In a 1944 letter, British Viceroy Lord Wavell gives his thoughts on the discussions at the time between Gandhi and Muhammad Ali Jinnah, leader of the Muslim League. He worries about the practicability of Jinnah’s “two nations” plan, citing for example that “the north-eastern Muslim State would amount to very little without Calcutta, but Calcutta is in the main a Hindu city” (2). Wavell notices that Jinnah does not have clear answers to the practical issues that his two nation theory raises, such as economic stability, or the geographical disconnection of the two parts of the proposed Pakistan. One could argue that opinions about the issue of partition were also politically motivated during this period. But Wavell also points out that Jinnah’s fears are in many ways justified - Gandhi’s unified India would likely have left the Muslim minority with less power and independence, even if they were granted special powers of self-determination. The British sought to withdraw peacefully while creating a stable nation (or nations), and the lack of an apparent solution would have been very worrying. However, in the current situation, it is of paramount importance to the British to withdraw from India in the specified amount of time, and so, we see important policy decisions being made in a very rushed manner. 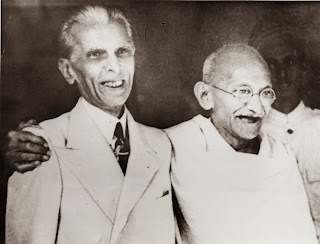 Gandhi and Jinnah in 1944. They had staunchly different ideas on how steps of independence from Britain should be ordered. 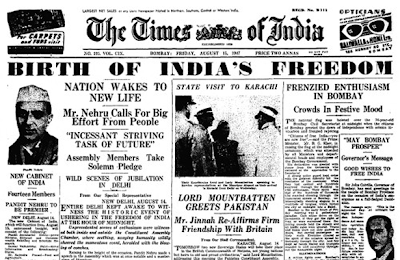 By 1947, the planned transfer of power that would create Indian independence was less than six months away. Plans for independence with or without partition were hurriedly made and revised. In a letter dated 11 May 1947, Nehru replied to one such plan for partition presented by Viceroy Mountbatten. His strong opposition to the idea is evident in this letter. Nehru feared the balkanization of India, that partition would divide the country into many small, hostile states. 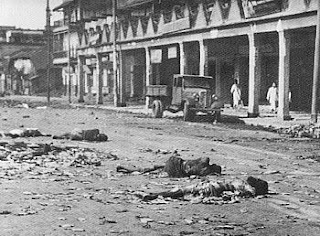 This fear of hostility was well founded - the year before had seen the “Great Calcutta Killings,” three days of violent attacks between Hindus and Muslims that left 4,000 dead. Nehru, and much of Hindu India, wanted India to become independent as a single country, with talks of partition to occur afterward. This would theoretically create a more gradual transition and create greater unity between the separate resulting nations, were partition to occur. The Muslim League, on the other hand, sought to ensure that partition happened before independence. The opinions of both groups seemed reasonable given their position and perspective of the current situation. Ideally, it would have been great if the issue of partition could have been dealt with in not as rushed a manner, and more of a consensus could be reached by further agreements and negotiations between the Hindu and Muslim political groups, after India had gained its sovereignty. But at the same time, the fears of the Muslim groups was valid, in that the urgency of this issue might have been lost after independence and in a unified India self-determination of Muslims might be undermined. 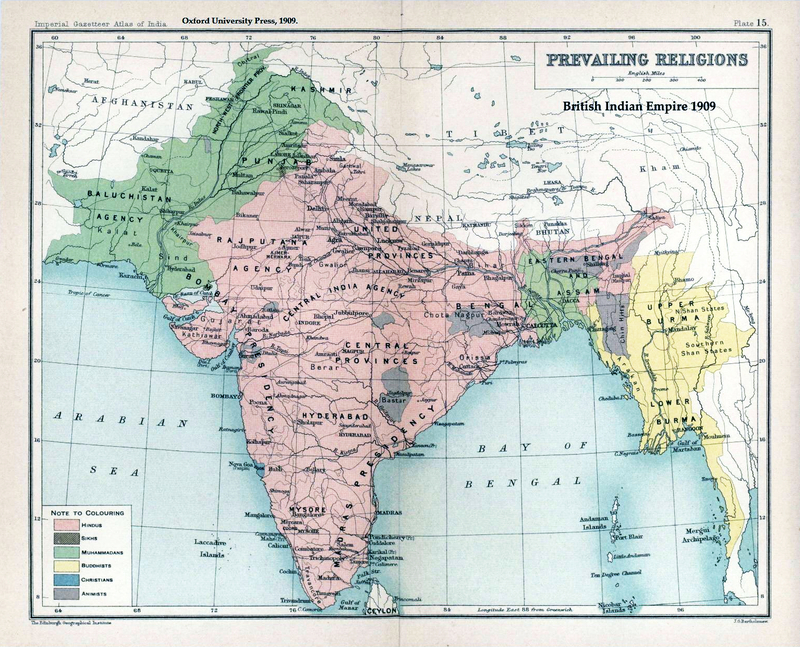 Eventually, it was decided that India would be partitioned along religious lines prior to independence. In a radio broadcast message at the inauguration of Pakistan, Jinnah emphasized the importance of a peaceful transition to Pakistan. However, the actual transition was exactly the opposite. Even though borders were drawn to carve out predominantly Muslim areas, presumably in accordance with the referendum, there was no way to make these boundaries without creating minority populations of Hindus and Muslims on either side of the border. Over ten million Muslims, Hindus and Sikhs suddenly found themselves on the ‘wrong’ side of the border and had to cross over, most being practically forced to leave everything behind and suddenly be refugees in a new land. The transportation system and new governance being ill-prepared to handle this sudden mass migration only added to the difficulties of that period. 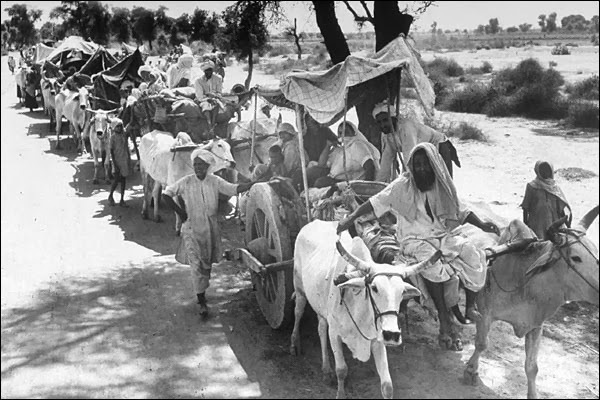 However, this large scale displacement wasn’t the worst part of the partition. Tensions and religious factions quickly escalated between the two groups and communal violence across the border took catastrophic forms. There were killings in thousands, and violent, gruesome acts like sending trains full of dead bodies across the border became disturbingly common. The repercussions of these widespread atrocities plagued the two nations for many years, and tensions simmered. The issue of Kashmir and its governance remained a point of contention, and even led to a full scale war between post-independence India and Pakistan. Having retrospect on our side now, one could argue that the partition of India led to disastrous and even unnecessary conflicts, death and destruction, and so, almost any other solution creating a unified India would have worked out better. But we need to keep in mind the situation as it was in 1947 and the years leading up to that, the mindset of the people, the general mood and the absolute want of complete freedom and self-determination coming out of an extended period of oppressive colonization. It is almost impossible to argue for possible alternatives, because even in a unified post-independence India, religious differences could have easily escalated and taken violent forms, leading to equally if not more, cataclysmic outcomes. It does not take away from the fact though, that hundreds of thousands of people died in the fire of the very independence that they fought for. 1. Jeremy Adelman et al., World Together, Worlds Apart: A History of the World., ed. John Durbin (New York: Norton & Company, 2011).